Hotel Boutique Villa Venecia Costa Blanca in Benidorm. This 5 star luxury Hotel, has a swimming pool, is close to the beach. Prices from 125.72 EUR. Welcome to the Hotel Boutique Villa Venecia Costa Blanca.Metres from the Benidorm beach sits the Hotel Boutique Villa Venecia, a luxury hotel with an outdoor swimming pool, excellent spa services and spectacular views of the Mediterranean Sea. 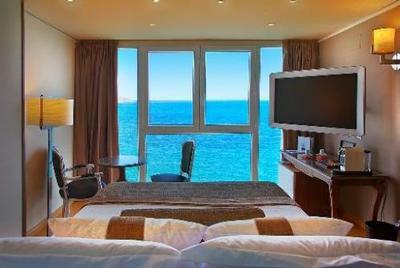 Gaze out at the sea through the large windows of your room. For more on this 5 star luxury Hotel please click on the availability buttons above and below. The Hotel Boutique Villa Venecia provides excellent Hotel in Benidorm, Alicante - Costa Blanca, Costa Blanca Spain. The address is Plaza San Jaime, 1, Benidorm , 3500.